Devon Carbado is Associate Vice Chancellor of BruinX for Equity, Diversity and Inclusion and the Honorable Harry Pregerson Professor of Law at UCLA School of Law. He teaches Constitutional Criminal Procedure, Constitutional Law, Critical Race Theory, and Criminal Adjudication. He has won numerous teaching awards, including being elected Professor of the Year by the UCLA School of Law classes of 2000 and 2006 and received the Law School's Rutter Award for Excellence in Teaching in 2003 and the University's Distinguished Teaching Award, the Eby Award for the Art of Teaching in 2007. In 2005 Professor Carbado was named an inaugural recipient of the Fletcher Foundation Fellowship. Modeled on the Guggenheim fellowships, it is awarded to scholars whose work furthers the goals of Brown v. Board of Education. Professor Carbado writes in the areas of employment discrimination, criminal procedure, constitutional law, and identity. He is the author of Acting White? Rethinking Race in “Post-Racial” America (Oxford University Press) (with Mitu Gulati) and the editor of several volumes, including Race Law Stories (Foundation Press) (with Rachel Moran), The Long Walk to Freedom: Runaway Slave Narratives (Beacon Press) (with Donald Weise), and Time on Two Crosses: The Collective Writings of Bayard Rustin (Cleis Press) (with Donald Weise). A board member of the African American Policy Forum, Professor Carbado was the Shikes Fellow in Civil Liberties and Visiting Professor of Law at Harvard Law School in 2012. Professor Carbado graduated from Harvard Law School in 1994. 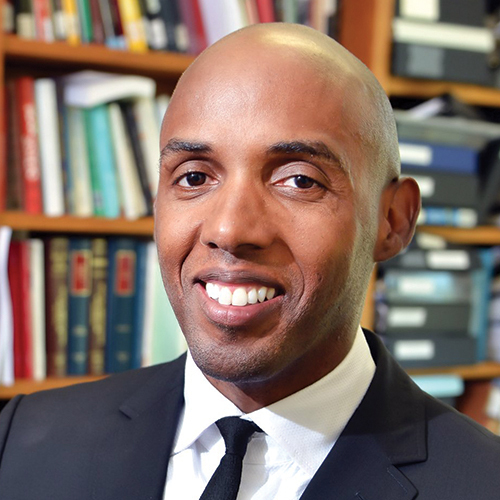 At Harvard, he was editor-in-chief of the Harvard Black Letter Law Journal, a member of the Board of Student Advisors, and winner of the Northeast Frederick Douglass Moot Court Competition. Carbado joined the UCLA School of Law faculty in 1997. He served as Vice Dean for Faculty and Research at the School of Law from 2006-07, and again in 2009-10. Professor Carbado is currently working on a series of articles on race, law, and police violence.